We shall if you sing our song! 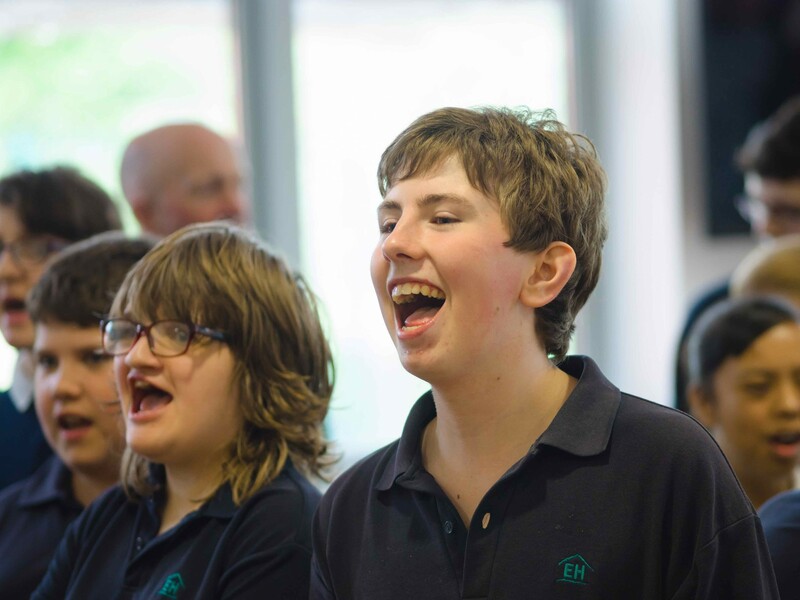 La Folia’s most recent project EVENING SONGS was a creative collaboration between La Folia, Exeter House Special School, Salisbury Cathedral School and Salisbury Cathedral. 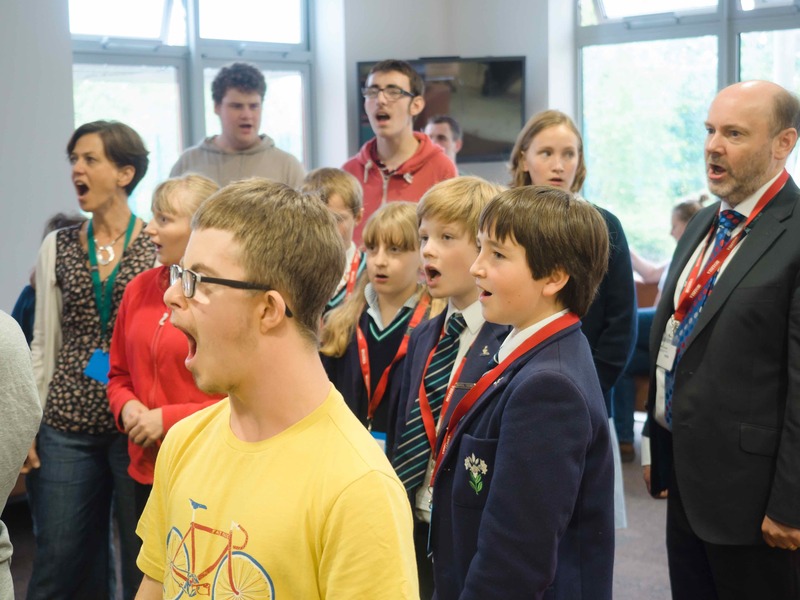 A series of workshops (January – July) culminated in the Cathedral Choir and students from Exeter House School singing Evensong together in Salisbury Cathedral on 12 July, 2016. 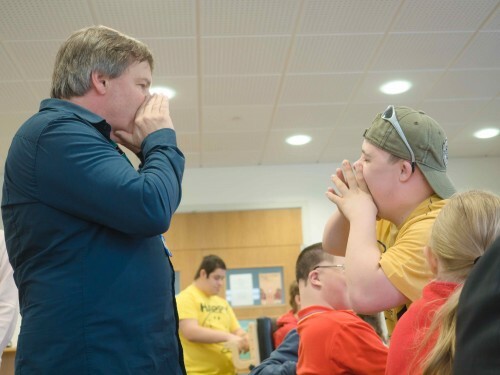 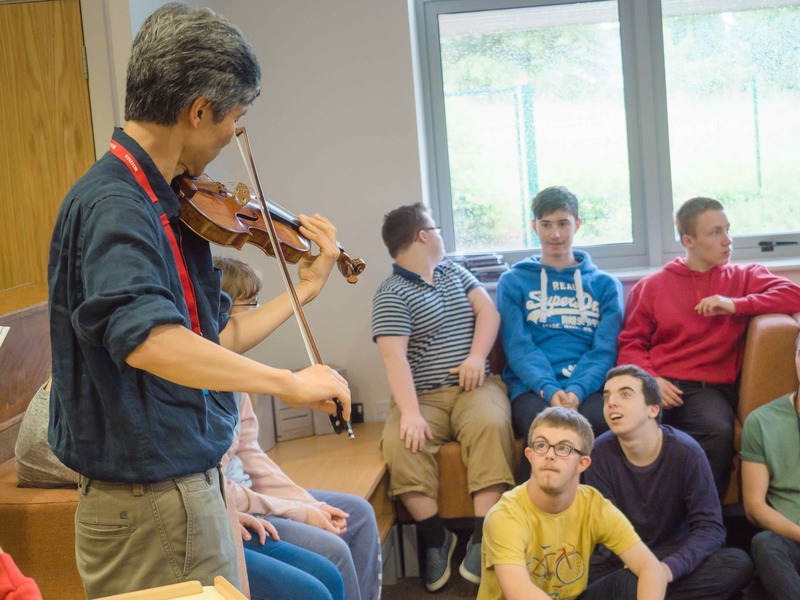 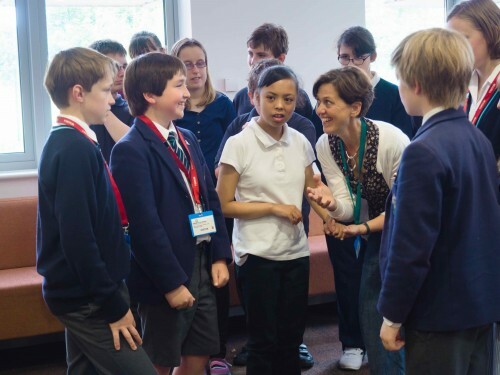 Following La Folia’s Magna Songs special needs project performance in Salisbury Cathedral in July 2015, Ian Wicks of Salisbury Cathedral School wanted to share something of that experience with the choristers. 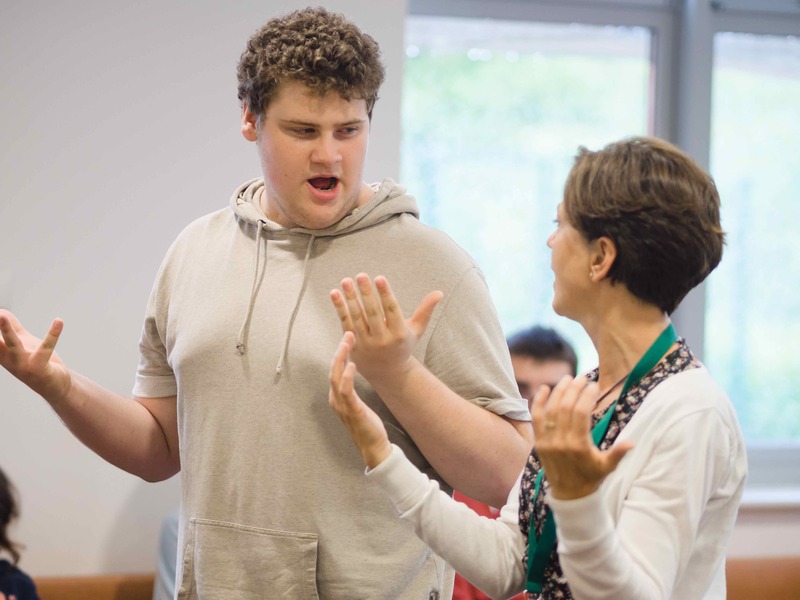 Artistic Director Howard Moody saw the opportunity to explore a long-held dream which has now become a reality: pupils from Exeter House and the Cathedral School together devising words and composing music for Evensong, responding to the Liturgy in highly individual ways. The project was led by Howard Moody, voice animateur Emily Blows and Cathedral lay vicar Steve Abbott. Visual artist Susan Francis worked with Exeter House pupils to create designs for an order of service to guide the congregation through what might well be an unfamiliar Evensong experience. 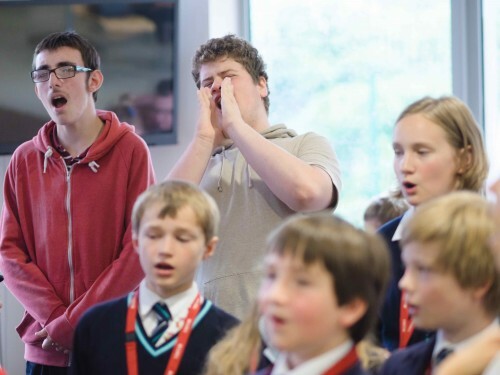 This Evensong was completely innovative. 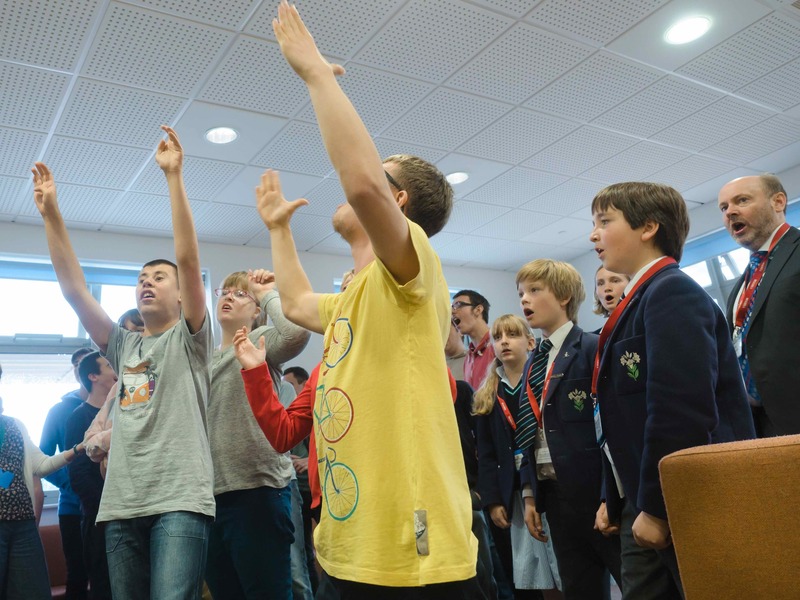 Such a collaboration has never happened in Salisbury Cathedral before and other Cathedrals are already showing interest. 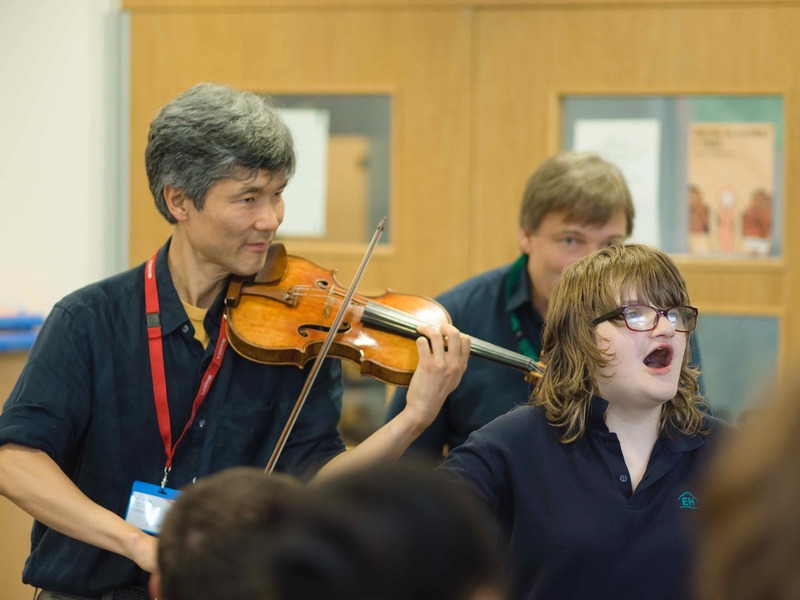 Evening Songs was the first project to be funded through the singing trust, La Folia’s new fund specifically for special needs projects.